I often find that some logins will need execute permissions to objects on the database, in some cases a development environment might exists where users dont have GUI interface to interact with the database, i.e every operation is all done through stored procedures. In such cases, it might be acceptable to grant execute permissions to all objects on the database. In SQL server the role db_datareader has always existed, but how come we don’t have a role called db_executor. In this blog, I will show you how you can create a custom role which gives execute permissions on stored procedures, functions on the database. Whilst still logged in as myself, create objects under the DEMO database. Now log on as the test user to the DEMO database and run the following scripts. The EXECUTE permission was denied on the object ‘spGetUserName’, database ‘DEMO’, schema ‘dbo’. I can either grant execute permissions on this single stored procedure, but imagine that we had over a thousand stored procedures. One easy way to do this is to create a role and grant execute permission on the actual schema itself. After running the above, we now execute the stored procedure and it executes fine without any problems. It is possible to chang the collation setting on a database, but what happens if you try to change the collation setting on a SQL instance or on the system databases, for SQL 2008 this can be done from the command line. Generally, what i tend to do is as follows. I will find the location of all my databases, as changing the collation forces a mini re-installation and thus will detach all user databases and rebuild system databases. 2 A full backup of system databases, msdb, master and model is also recomended. Changing collation will rebuild system databases. The parameters are as follows, /SQLSYSADMINACCOUNTS this specifies the sysadmin account nominated. /SAPWD = This is the SA password to be used afterwards. 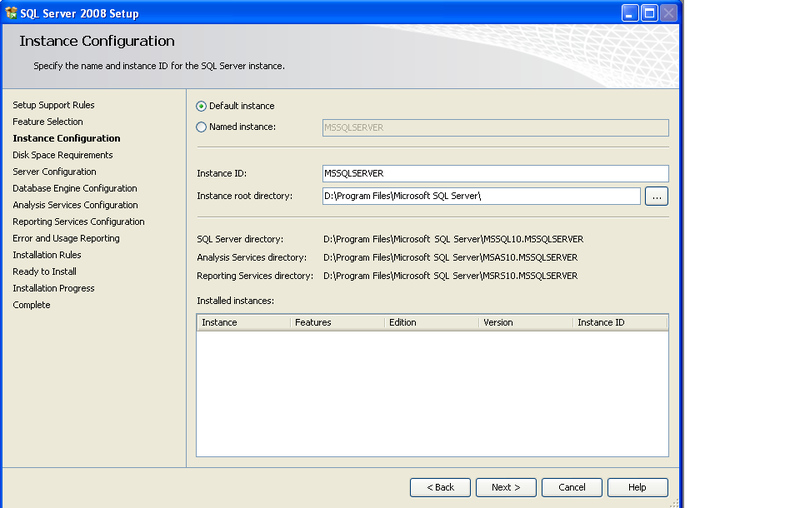 The following guide details how to install SQL 2008 step by step guide with pictures. One important setting worth mentioning is collation setting, please ensure that you are using the right collation settings, the chosen database collation setting has been detailed is: SQL_Latin1_General_CP1_CS_AS . 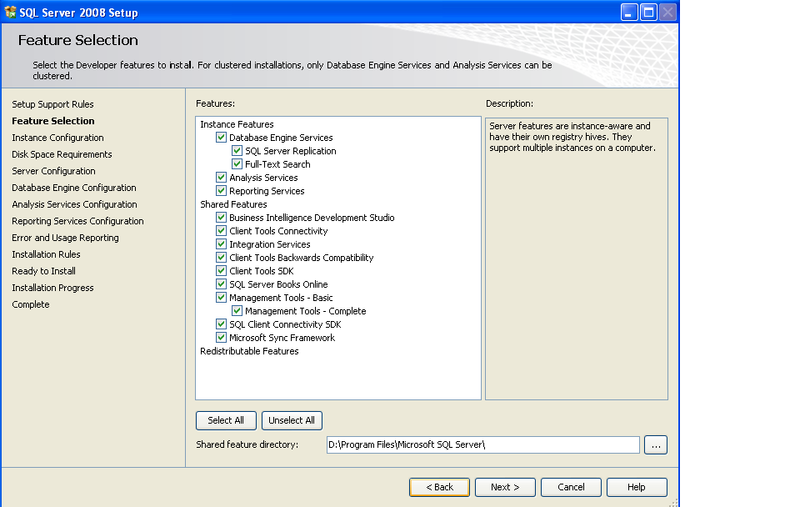 This page is for the SQL 2008 Installation steps. 1. Insert the SQL Server installation media. From the root folder, double-click setup.exe. To install from a network share, locate the root folder on the share, and then double-click setup.exe. If the Microsoft SQL Server 2008 Setup dialog box appears, click OK to install the prerequisites, then click Cancel to exit SQL Server 2008 installation. 2. If the .NET Framework 3.5 SP1 installation dialog box appears, select the check box to accept the .NET Framework 3.5 SP1 License Agreement. ClickNext. To exit SQL Server 2008 installation, click Cancel. When installation of .NET Framework 3.5 SP1 is complete, click Finish. Carry on with the following steps. Click on show details and ensure that all the checks are passed. Select the root directory for the installation. 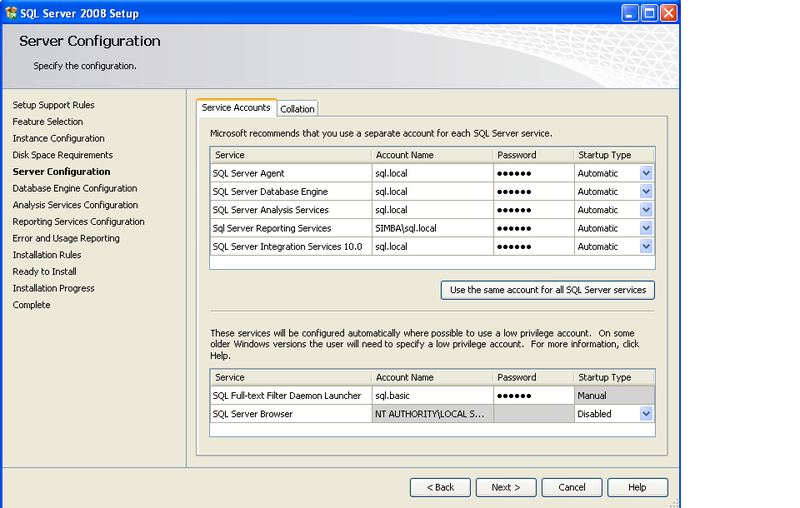 Select the account details for provisioning the SQL service and other related services. Select the collation setting for the installation, note the collation setting in use here. Select Authentication mode, if mixed authentication is used, select the SA password. Select a directory for the database. Select the filestream option if applicable. Select the Analysis services account configuration. Select the directory for the Analysis service related files. Ensure that installation rules are all passed. Installation screen, the process will take some time, this depends on the capacity of the machine on which it is being installed on to. Check the TCP/IP section and enable it. Use the command line options below to install SQL 2008, remember to change the directory to the directory where the installation media is. Attention should also be paid to the configuration file as well, see attached configuration file which contains answers for the installation. You can install SQL 2008 SP1 quietly without the need for a reboot, just ensure that you close all Management Studio windows that are open, this way a reboot will most likely not be required. Use the attached batch file, ensure that you have downloaded the service pack and change the path referenced in the batch file to the correct path. Below is a sample configuration.ini file for the installation above, copy it and save it to a file called Config.ini as referenced above in the command line installation. ; Specify the Instance ID for the SQL Server features you have specified. SQL Server directory structure, registry structure, and service names will reflect the instance ID of the SQL Server instance. ; Specifies features to install, uninstall, or upgrade. The list of top-level features include SQL, AS, RS, IS, and Tools. The SQL feature will install the database engine, replication, and full-text. The Tools feature will install Management Tools, Books online, Business Intelligence Development Studio, and other shared components. ; Setup will display progress only without any user interaction. ; Specifies that Setup should install into WOW64. This command line argument is not supported on an IA64 or a 32-bit system. ; Specifies the path to the installation media folder where setup.exe is located. ; Specify if errors can be reported to Microsoft to improve future SQL Server releases. Specify 1 or True to enable and 0 or False to disable this feature. ; Specify the root installation directory for native shared components. 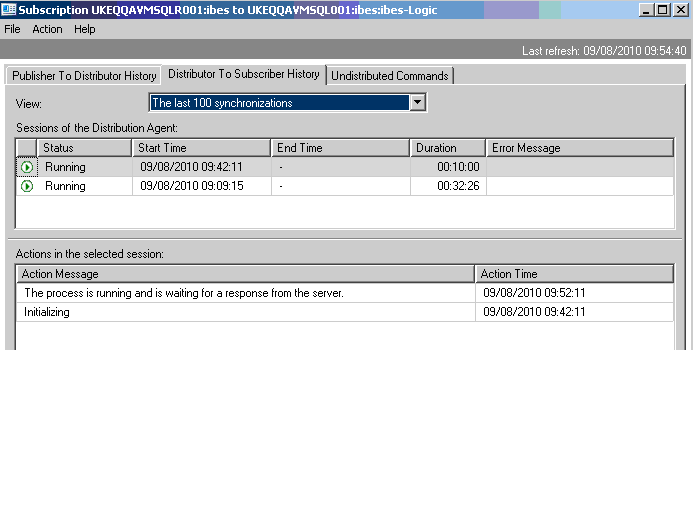 ; Specify that SQL Server feature usage data can be collected and sent to Microsoft. Specify 1 or True to enable and 0 or False to disable this feature. ; Specify a default or named instance. MSSQLSERVER is the default instance for non-Express editions and SQLExpress for Express editions. This parameter is required when installing the SQL Server Database Engine (SQL), Analysis Services (AS), or Reporting Services (RS). ; Startup type for Integration Services. ; Account for Integration Services: Domain\User or system account. ; Controls the service startup type setting after the service has been created. ; The collation to be used by Analysis Services. ; The location for the Analysis Services data files. ; The location for the Analysis Services log files. ; The location for the Analysis Services backup files. ; The location for the Analysis Services temporary files. ; The location for the Analysis Services configuration files. ; Specifies whether or not the MSOLAP provider is allowed to run in process. ; Name of Windows share to be created for FILESTREAM File I/O. ; Set to "1" to enable RANU for SQL Server Express. ; The Database Engine root data directory. ; Provision current user as a Database Engine system administrator for SQL Server 2008 Express. 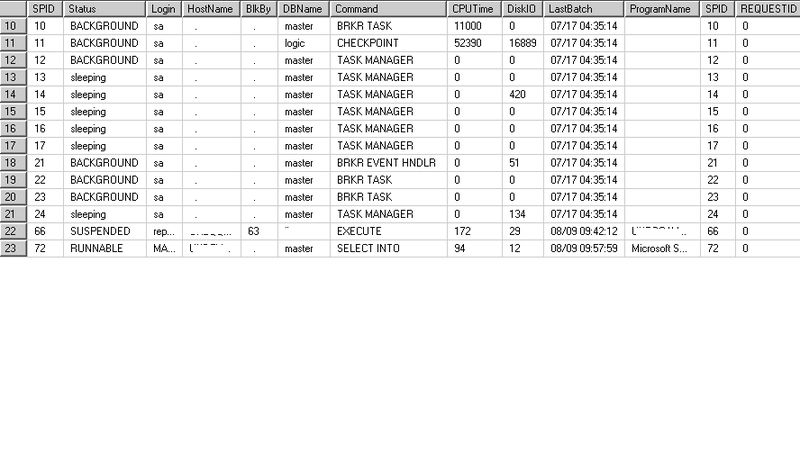 ; Specifies which account the report server NT service should execute under. When omitted or when the value is empty string, the default built-in account for the current operating system. ; The domain part of RSSVCACCOUNT is a maximum of 254 characters long. ; Manual - Service startup is manual mode (default). ; Automatic - Service startup is automatic mode. ; Specifies which mode report server is installed in. At my shop, we currently use SVN to store database objects, one object type which is often overlooked is SQL agent jobs, I needed a way in which I can generate sql agent jobs into sql files, SQL management studio allows you to script jobs, but you can either do this one at a time, or script all the jobs in one big file. The two options are not really ideal for me, the reason being that I may choose to be selective about which jobs I install on a server, other jobs are installed as part of an installation suite, e.g management data warehouse in SQL 2008. I have written a simple powershell script that will simple script out all SQL agent jobs, one might have multiple servers, I have made the script such that it reads a text file for a list of servers, simply save this file on a location and call the powershell script, you also need to specify where you want the script to be generated to as well. $jobNameFile = "C:\SQLJOBS\" + $jobName+".sql"
I am often faced with the need to search for objects on a database, for example i want to ensure that there are no other objects referencing the objects, or perhaps I need to change the schema of a table, but want to make sure that I capture and edit all other objects that rely on the object i.e a table. In one example, I noticed an application was using custom key generation for generating a unique ID, this was causing a deadlock on the database, and I pinned down the problem to a exclusive lock being held on the table during another update, whilst a new key was being generated. In order to complete regression testing, I need to ensure that all objects making reference to the table were correctly identified and the code changed. select ''Finding the use of tbluser on database '' ? In the example below, I was looking for any object across the database that use the COLLATE or collate hint, as the database server was case sensitive, I have to try both lower and upper case. select ''Finding the use of collate on DB '' ? Throughout my career as a DBA, I often find that I need to work with developers more closely than anyone can imagine, DBA’s are often thought about as the middle man between the development team and also system administrators. I find that this is often the case, the DBA is a special position within any organization, responsible for the day to day maintenance and smooth running of the database involves being patient, responsive, being communicative with your customers (developers, business users, management, system administrators and other stake holders). Personally I tend to have a good rapport with developers, as they would often know how the database objects interact with the application, especially within a shop with little or no documentation. Statistics which are not up to date. Heavy IO operation on the database, this can be heavy reporting/ad-hoc queries or perhaps backups running on the system. In my own case, I was able to speak to the developer, a profiler trace was created to see what the problem was. It was later tracked down to a stored procedure using an in appropriate query plan. I was able to speak to the developer who quickly pointed out to me the stored procedure that was being called for the functionality the user was trying to use. This was subsequently fixed and the user was able to carry on using the application. Speak to developers about applications that they are working with, especially ones which interact with the database. This way, you have an idea of what sort of things to watch out for. Always see your developers as your customers as well, a healthy relationship with your developers means that both sides can work together as a team, and thus improving the service being offered to the organization. Don’t think your developers will always come and ask you questions, at first the trust may not be there, that’s why its good to have a good report and make sure they are comfortable with you. Be diplomatic when you see bad SQL code, don’t say to developers “your code is really horrible, I don’t know how you got the job ! “, be diplomatic and try and help them write better queries, this way when they are not comfortable with writing SQL code or a code which is not performing, they are willing to seek your help as the DBA, instead of just releasing it on to the production database server. Socialize with the team ! To confirm this, I ran the code below to check for replication errors. and the other spid only had a begin tran statement showing from my dbcc inputbuffer statement. I killed this SPID which had begin tran as the sql statement which it was running, and the replication commands were delivered and replication was working once more. The problem was fixed. I have always been very keen to learn new aspects of SQL server and as much as possible use new technology. When SQL 2008 came out about 2 years ago, powershell technology has always been one that’s interests me, I like the fact that almost any task can now be scripted. I liked the fact that, I can write a script and push it out to as many SQL instances as possible. I also like the fact that tasks in windows can also be scripted as well, so lets say I want to collect perfmon data and integrate this with SQL server, it is now easy to achieve this. To this note, I was inclined to use powershell towards running backup stored procedures, although I could have easily used TSQL to do this, but as I know, powershell is the future and as a DBA, I don’t want to be left behind. I also liked the fact that, within my backup scripts I want to delete older backups after they have been backed up to tape, powershell allows me to easily do this without having to write lines of scripts. To my surprise, I started to run my powershell scripts which backs up SQL databases via stored procedures, all of a sudden they started failing. The stored procedure was fairly straight forward and simple, but yet the scripts will still fail. What I noticed was that for differential backups, the powershell script runs fine, but for full backups the powershell scripts which calls the stored procedure fails. This occurred to me like some kind of issue with timeout, at first it sounded strange as I didn’t specify a timeout period, but yet the query was failing. $SqlCmd.CommandText = "  waitfor delay '00:00:50'"
As a workaround, a timeout value was passed into the connection properties. If a timeout value of 0 is specified, then the script will not time out. $SqlCmd.CommandText = " waitfor delay '00:00:35'"